Camping; it has been quite a while since the last time. I had to get used to the cramped space and thin thin self-inflating mattress. We went to sleep early and this morning I woke early… around 05:15. Because I had nothing else in mind, I packed the bike and was ready by the time the other 2 got up. When we were about to go, my SuperTéneré would not want to start. No electrical activity could be found. My hunch was the fuse box. When I removed the side cover, I noticed that one of the bolts holding the mass-strip to the frame lay lose in the side cover. 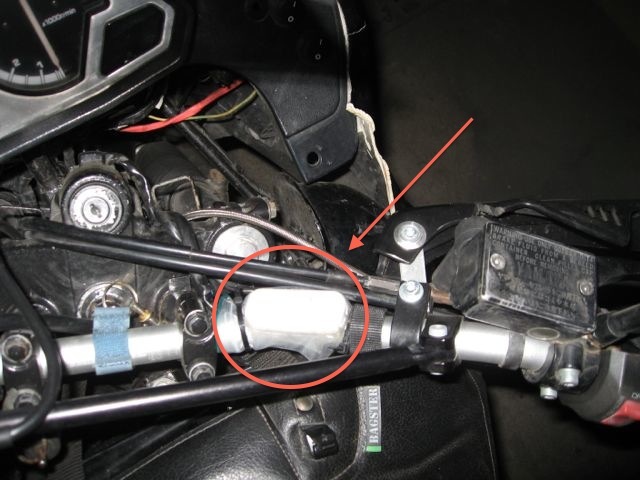 When that bolt was attached and the other tightened, there was electrics again and the bike started. However, Ben noticed another bolt missing and closer inspection revealed another discrepancy. I lost 2 bolts that hold the luggage rack and pillion steps. Re-locating one of the left-over bolts made the luggage rack firm and steady again. We left the beach in a moderate fog. After 40 minutes it cleared and we stopped for breakfast in a nice little beach town. More and more people showed up to make it a day at the beach. After breakfast the sun came out and the temperature quickly rose. 100 km later we reached the border. The Peruvian side formed no problem what so ever and we were on the way to Chilean customs in no time. This took somewhat longer and about 5 different forms to fill out. Eventually we left this side of the border too and headed for Arica. 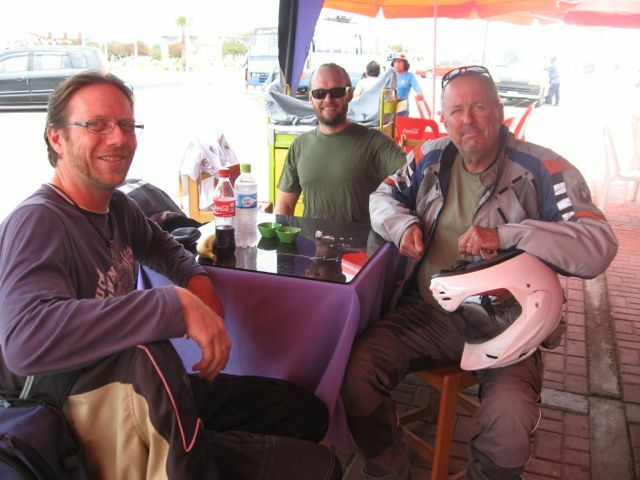 When we crossed the outskirts of Arica, I mentioned that I needed fuel and maybe a hardware store to find bolts and new duct tape and tie raps. Ben suggested I looked for that while they rode on and maybe we’d catch up on the road again. So here our ways parted. In Arica I found a mechanic workshop. They couldn’t really help me, but I could leave the motorbike with them while I went into a wholesale store across the street. Here I found a couple of bolts that did not exactly what I needed, but they fit, so it would do for the time being. Lesson learned: check every day for lose bolts. Also, aluminium cases serve sooooo much better than soft luggage that you can’t lock up. In the store I also found a switch button for home appliances (lamps primarily). After I used the bolts to tighten the pillion rider pegs, I went in to town to find a hostel or hotel. I really wanted a shower and I was really in need of internet to do financial stuff and such. Somewhere close to the centre I found a hotel with room for the bike. After a fantastic shower, I fixed the XTZ up with a new starter button, using the switch button from the store. Later I also acquired new duct tape and tie raps. 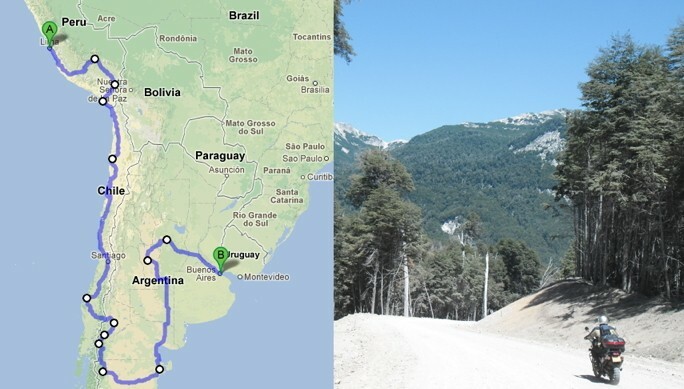 Tonight I will enjoy a bed and tomorrow a hotel breakfast, after which I will try to ride a few long days towards Santiago, while camping underway to save time and some money….. This entry was posted in Chile, Peru on January 13, 2013 by wimbat.